Other than when it turns into a driveway, when does a car stop being a car and turn into something else? When does a car become a toy? It's hard to say a car is still a car when its job is no longer to transport you from one place to another. It's just sort of like a land-bound, enclosed jet ski. 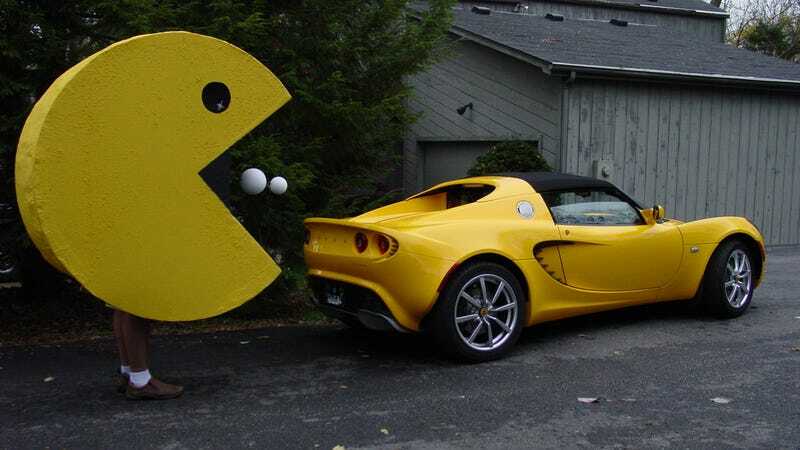 Is an Elise really so different from a snowmobile, or even a game of Pac Man? How much utility is needed for a car to be anything but a toy? While we were toddler-testing the FR-S, one reader spoke for the voice of society saying that a sports car "is not a place for a baby," and that you should buy a minivan or small SUV once you have a child. Readers poured in to rebut this opinion, and the whole conversation is worth reading. Gamecat235 had a particularly keen view of the argument surrounding the utility of sports cars. 2013 Scion FR-S: Will It Baby?